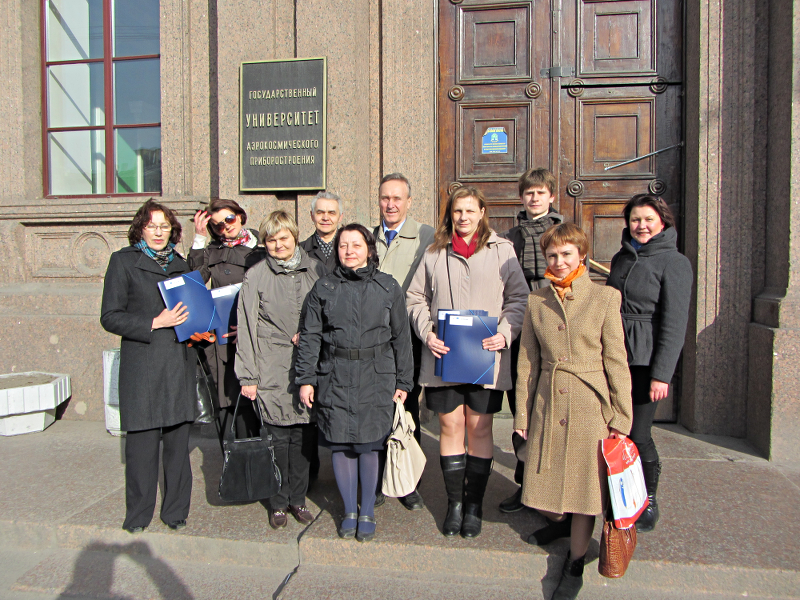 The training seminar “The basics of processing technology of remote sensing data and applications in monitoring natural and technological objects in project” within the Project ELRI-184 «Integrated Intelligent Platform for Monitoring the Cross-Border Natural-Technological Systems» was held in St. Petersburg (Russia) during the period 22-26 April, 2013. 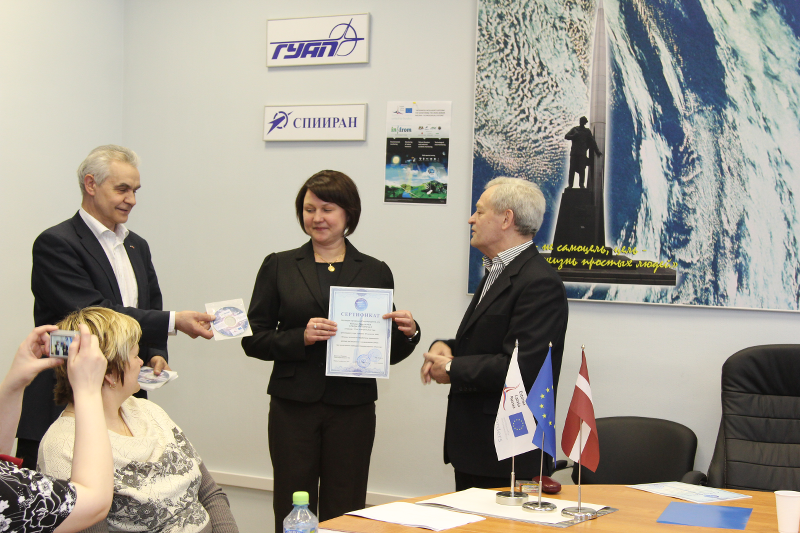 Nine Latvian participants were presented by four project RTU researches, including leader of 5thActivity Package Dr.sc.ing. 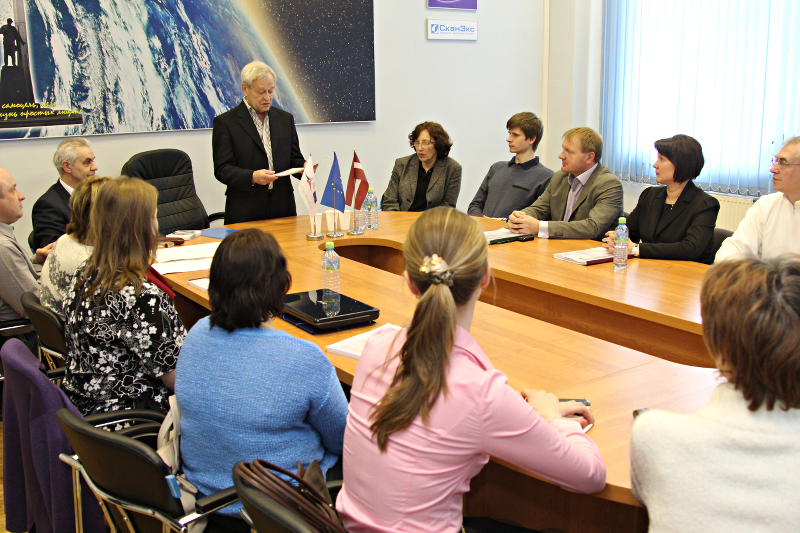 Julija Petuhova and representatives of Madona municipality. 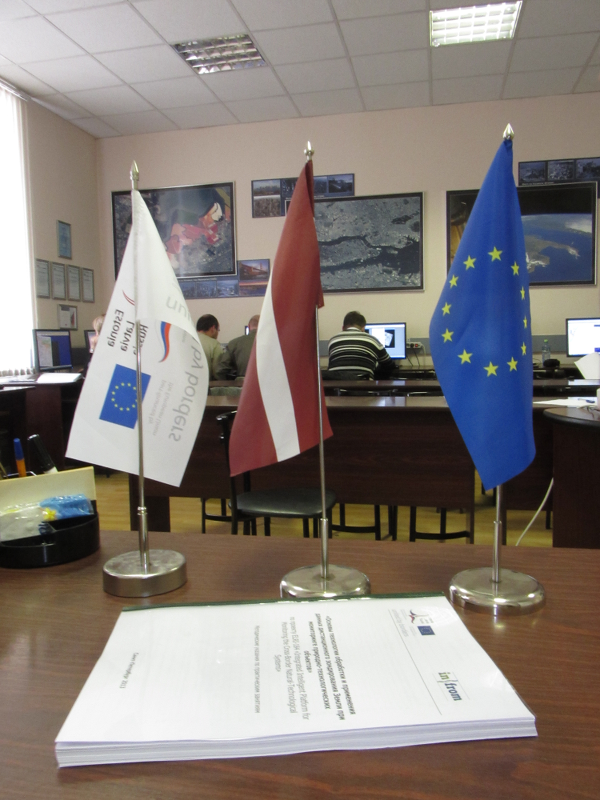 The main outcome of the training seminar apart studying in processing technology of remote sensing data and applications in monitoring natural and technological objects in project, is development of contacts and communication among Project stuff and local authorities in the context of Project activities sustainability. 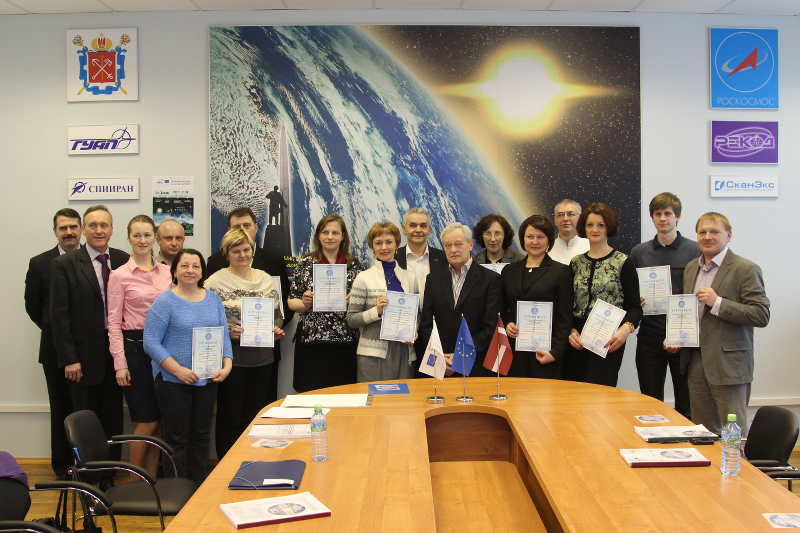 During the training, participants visited St. Petersburg Information and Analytical Centre where an application of analytical system of monitoring of social technological systems in Sankt Petersburg were presented and discussed in the context of Project activities.